Quality Door & Hardware, Inc. announces the Schlage ND Series Cylindrical Locks as one of its featured product lines for February 2016. I recommend the Schlage ND Series of Cylindrical Locks for their tough durability, ease of installation, and flexible design which works with a wide variety of applications. - Jeffrey N. Dinardo, Sr.
Quality Door & Hardware, Inc. is pleased to announce, as one of their featured product lines for February 2016, the Schlage ND Series of Cylindrical Locks. Jeffrey N. Dinardo, Sr., owner of Quality Door & Hardware, Inc., recommends the Schlage ND Series of Cylindrical Locks for their tough durability, ease of installation, and flexible design which works with a wide variety of applications. The Schlage ND series of Cylindrical Locks are heavy-duty, cylindrical key-in-lever handle locksets featuring both strength and security and are rated at 3 times the 1,000,000 cycle ANSI Grade 1 requirement. At over 3 million cycles, the Schlage ND series beats the competition by 30%. 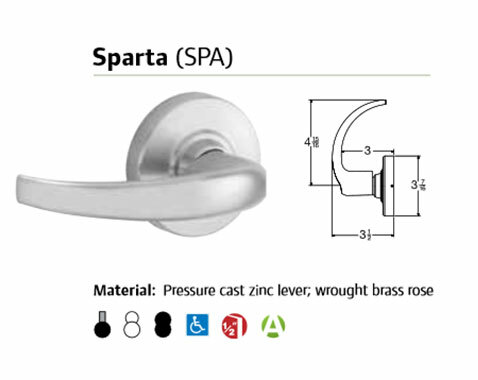 The Schlage ND series locks are user friendly, installs quickly and is designed to fit a variety of door preparations. The solid feel and precise lever action; together with available decorative one-piece cast construction levers and multiple locking functions, make the Schlage ND series the ideal choice for use in schools, hospitals, offices, retail spaces, colleges, universities, and institutional facilities. The Schlage ND series locksets are tough. 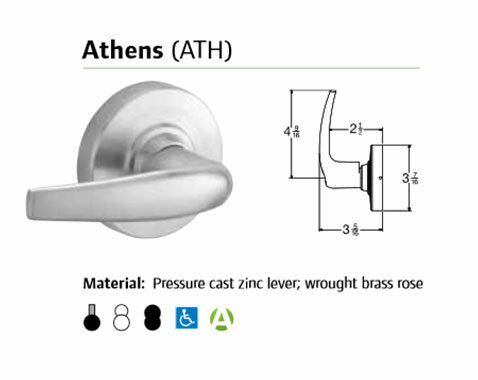 These ND series locksets endure and exceed the A156.2 Grade 1 standard for abusive locked lever torque without allowing entry. 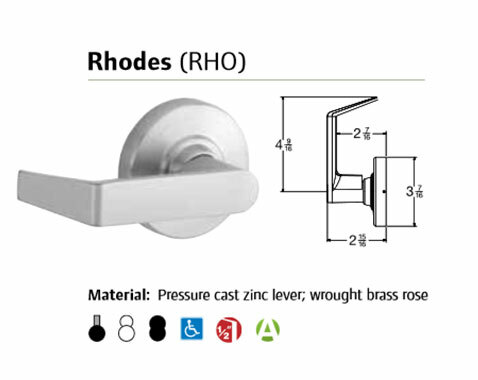 Also, the Schlage ND series has 3 styles of levers which are reversible and designed to conform to all national and state fire and handicapped requirements. 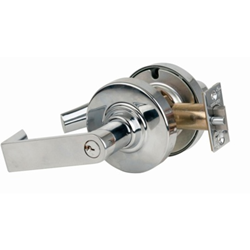 Quality Door & Hardware is proud to offer the Schlage ND series Cylindrical Locks as one of its featured product lines for February 2016 and these fine Schlage products can be found on our e-commerce site at: http://www.QualityDoor.com. Quality Door & Hardware, Inc. has been a leader in the commercial door hardware industry for over 25 years and features a wide array of products from among all of the most popular manufacturers and brands. In addition, Quality Door & Hardware has earned a well deserved reputation in the industry for its unparalleled customer service. At Quality Door & Hardware, Inc., we invite you to experience the difference that “Quality” can make in your business.